Clint Evans, Colorado State conservationist for USDA’s Natural Resources Conservation Service recently announced applications for the 2019 Agricultural Conservation Easement Program—Agricultural Land Easement and Agricultural Conservation Easement Program-Wetlands Reserve Program—are currently being accepted on a rolling basis. Due to the new 2018 Farm Bill, Colorado NRCS will not be announcing an application deadline for either program at this time. A subsequent announcement will be made at least 30 days prior to any established deadline in 2019. The purpose of the ACEP-ALE program is to protect the agricultural viability, grazing uses and related conservation values by limiting nonagricultural uses of the land. The purpose of the ACEP-WRE program is to protect and restore wetlands, wildlife habitat, and water quality on agricultural lands. These programs are voluntary and the landowner retains ownership of the land. Applicants for ACEP-ALE must be a federally recognized Indian Tribe, state or local units of government, or a non-governmental organization. Individual landowners may apply for ACEP-WRE if their land includes farmed or converted wetlands that can be successfully restored or other eligible wetland type. Completed application packets for ACEP-ALE should be emailed to Heather Foley at heather.foley@co.usda.gov or mailed to Heather Foley, easements coordinator, USDA-NRCS, Denver Federal Center, Building 56, Room 2604, Denver, CO 80225. Completed application packets for ACEP-WRE must be submitted to the local NRCS field offices located within USDA Service Centers. Application packets for either program must be submitted based on the 2018 guidelines. For more information about NRCS easement programs, please contact Heather Foley at 720-544-2805 or heather.foley@co.usda.gov. You can also visit your local NRCS Service Center or visit the Colorado NRCS website at http://www.co.nrcs.usda.gov. [Friday, September 14, 2018], the U.S. 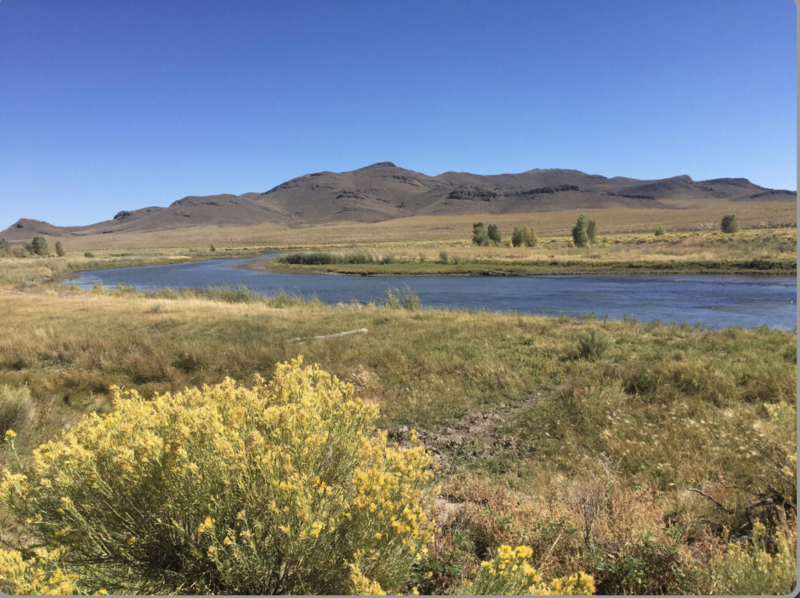 Fish and Wildlife Service accepted a 12.82-acre conservation easement donation in Colorado’s San Luis Valley from Western Rivers Conservancy. With the donation, the San Luis Valley Conservation Area becomes the 567th unit of the National Wildlife Refuge System, an unparalleled network of public lands and waters dedicated to the conservation of native wildlife and their habitats. Western Rivers Conservancy has worked in partnership with the Service, state and local governments, as well as other conservation organizations to connect people and communities to this diverse ecosystem. Their donation of a conservation easement is yet another step in local efforts to conserve important fish and wildlife habitat and increase opportunities for public access. It will ultimately support increased biodiversity and recreational opportunities such as birding and hunting on nearby public and private lands. “By working collaboratively with our conservation partners and local communities to establish the San Luis Valley Conservation Area, we are helping ensure that the San Luis Valley continues to support some of the state’s most important fish and wildlife resources, as well as the people who live here, for generations to come,” said the Service’s Mountain-Prairie Regional Director Noreen Walsh. In 2015, the Service approved the San Luis Valley Conservation Area Land Protection Plan, which clarified and guided the Service’s intent to continue working with partners and private landowners to establish voluntary conservation easements in this priority landscape. Easements allow landowners to retain their property rights and continue traditional activities such as livestock grazing and haying within the easement, while prohibiting commercial development. Under the plan, the Service could protect up to 530,000 acres with conservation easements donated or purchased from willing sellers. The Conservation Area plan is designed to protect wildlife and wetland habitat in southern Colorado and northern New Mexico. Its limit is defined by the headwaters of the legendary Rio Grande, which begins its nearly 1,900-mile journey to the Gulf of Mexico in the San Juan and Sangre de Cristo Mountains that surround the San Luis Valley. Runoff from mountain snowpack creates wetlands and riparian areas in the midst of what otherwise is a high-mountain desert, providing important habitat for plants and migratory birds such as greater sandhill cranes, waterfowl and other sensitive or imperiled species. As the Conservation Area expands over time, the Service intends to protect wildlife habitat and maintain wildlife corridors between protected blocks of habitat on public and private conservation lands. The new Conservation Area is the fifth unit of the San Luis Valley National Wildlife Refuge Complex and the ninth national wildlife refuge in the state of Colorado. The Service’s Refuge System now encompasses 567 national wildlife refuges and 38 wetlands management districts across 150 million acres. Refuges are critical to the local communities that surround them, serving as centers for recreation, economic growth, and landscape health and resiliency. 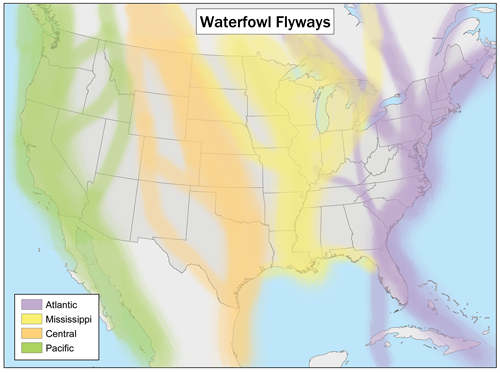 Each state and U.S. territory has at least one national wildlife refuge, and there is a refuge within an hour’s drive of most major cities. Learn more about the National Wildlife Refuge System or the San Luis Valley Conservation Area. 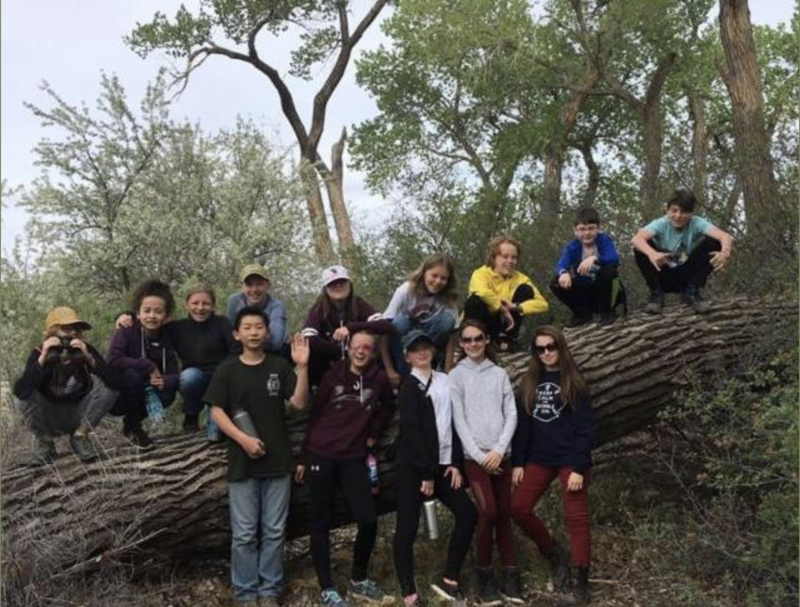 Last month East Middle School 6th graders enjoyed a morning bird-watching hike at Avant Vineyards conserved property on East Orchard Mesa. Thanks so much to Nic Korte from the Grand Valley Audubon Society for leading the hike and Neil Guard at Avant Vineyards for hosting! Every March, thousands of Sandhill cranes stop in #GreatSandDunes National Park & Preserve on their way to their northern breeding grounds. The fields and wetlands of #Colorado’s San Luis Valley provide excellent habitat for these majestic #birds. With the dunes and mountains nearby, they dance and call to each other. It’s one of nature’s great spectacles. Photo @greatsanddunesnps by #NationalPark Service. Wetlands are a critical part of the San Luis Valley. Not only are they a key water resource, but they also provide habitat for numerous bird species and bring tourism dollars to the local economy. They are truly part of what makes the Rio Grande Basin distinct. The San Luis Valley has three refuges that are overseen by the U.S. Fish and Wildlife Service under the direction of the United States Department of the Interior. They are the Monte Vista, Alamosa and Baca National Wildlife Refuges. The first refuge to be established was Monte Vista in 1952, followed by Alamosa in 1962, and finally the Baca in 2000. These areas make up the San Luis Valley Refuge Complex and are three in a system that consists of over 560 refuges nationwide. The Monte Vista Refuge is 14,804 acres and Alamosa comprises 12,026 acres and the Baca is 92,500 acres. The primary purpose of setting these lands aside is to protect vital wildlife corridors as well as water assets that are key to the well- being of the aquifer system that is crucial to the sustainability of the valley. These refuges also serve as prime habitat and nesting grounds for over 200 species of birds as well as other species of native wildlife such as deer, elk, beaver, and coyotes. The Alamosa Refuge is also home to the historic Mum Well which serves as a key data collection point for Colorado and San Luis Valley Water users. The primary purpose, is to protect lands that are important and that make the San Luis Valley a beautiful place. The landscapes seen in the refuges also highlight the distinct regions of the Valley as well. The Monte Vista Refuge was established for the purpose of protecting migratory bird species, especially the Sandhill Crane. The San Luis Valley U. S. Fish and Wildlife Service Office estimates that between 23 and 27,000 Sandhill Cranes make the San Luis Valley a rest stop during their annual migration to and from breeding grounds in the northern US. The success of the migration north in the spring from winter habitat in New Mexico and Texas to summer habitat in Montana, Idaho, Wyoming, and Canada and south in the fall is based largely on the birds eating enough food in the SLV to complete the trek, survive winter, and arrive healthy enough to nest and raise the next generation. Grain left after harvest on privately owned fields in the SLV is a major food source necessary to complete a successful migration. Nearly the entirety of the Rocky Mountain Population of Greater Sandhill Cranes passes through Colorado during their migration. The feed from the abundant barley and rest in wetlands that the cranes get in the SLV is critical to the success of the migration and upcoming breeding, and the most important part of the migration in Colorado is the availability of grain and roost sites in the SLV. 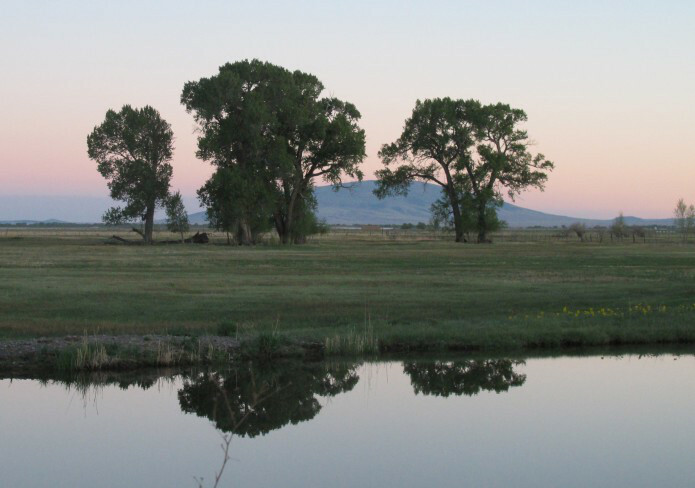 Colorado Parks and Wildlife also protect wetland areas across the San Luis Valley. According to a 2012 report by CPW, “The value of wetlands can’t be overstated. About 125 species that are found here in Colorado are dependent on wetlands for their survival, including 98 species of migratory birds.” The species that benefit include waterfowl and 20 priority non-game species. The agency mitigates wetlands based on a set of criteria that include hydrology, vegetation, land use and conservation. To manage the hydrology the goal is to maintain adequate width and depth (4–8 inches deep) for roosting, maintain flowing water to prevent spread of disease. Vegetation goals include monitoring for the availability of vegetation that produces food, controlling woody vegetation where needed, control encroaching coarse emergent vegetation and the use of livestock and controlled burns to maintain grass overstory. Land use surveys look at the roosting and feeding sites, provide grit (e.g., pebbles and small gravel) at roost sites if needed, and remove unused fences. Conservation goals include monitoring harvest rates to maintain desirable population numbers and forming and maintaining partnerships between agencies agricultural producers, landowners and the public. Like the US Fish and Wildlife Service and Colorado Parks and Wildlife, the Bureau of Land Management (BLM), National Park Service (NPS), US Forest Service (USFS) and the Natural Resources Conservation Service (NRCS) also work to protect wetland habitats. The Blanca Wildlife Habitat Area, managed by the BLM, serves as a refuge for birds, fish and other wildlife. The wetlands are a key area for birds since they provide habitat for migrating water and shorebirds. The bald eagle and the peregrine falcon also use the wetlands. Other Species of Management Priority that have been documented are American bittern, avocet, common yellowthroat, eared grebe, Forster’s tern, greater Sandhill crane, hen harrier, Savannah sparrow, snowy egret, sora rail, western grebe and yellow-headed blackbird. Shorebirds such as gulls, sandpipers and pelicans are at home in the salty environment, as well as 158 other species including a colony of breeding Snowy Plover. The Blanca Wildlife Habitat is a duck breeding concentration area, with mallards by far the most common, but good numbers of pintail and green-winged teal are also utilizing the area. The Valleys farms and ranches also support the areas wetlands and see them as important part of the hydrologic cycle. Wetlands work as a sponge that helps to ensure that working ag lands maintain a water source in lean years and symbiotically rotationally grazed wetland remain healthier due do reduced grass overstory and less noxious weeds. 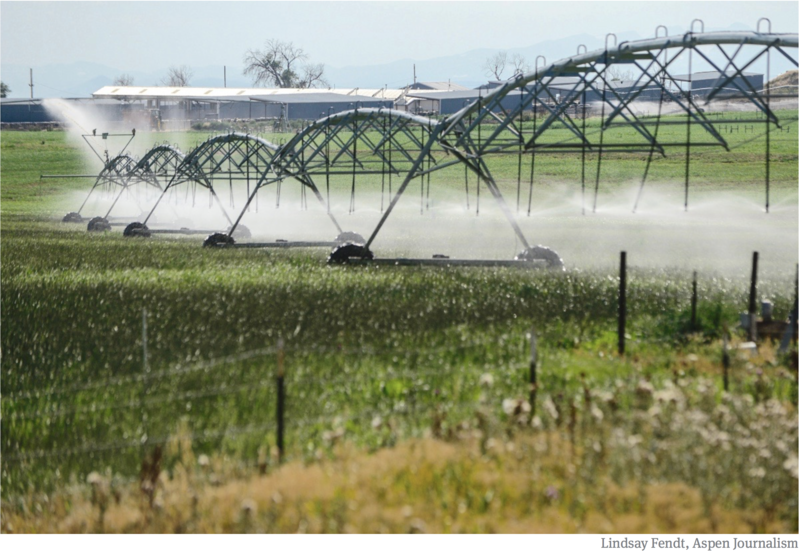 San Luis Valley agriculture producers and water managers are partnering to do timed releases of water from area reservoirs to only supply irrigation water, but to insure river and wetland habitats benefit. In the long run, wetlands provide wildlife habitat, grazing opportunities, groundwater recharge and sustainability of water resources.